Below is an account of the day in the form of my workshop notes, so you can read and attend the two lectures in the comfort of your home: pencils at the ready! “We Are Musicians!” ….who happen to play the drums. An investigation into musicality and musicianship. ‘Musicianship and musicality?’ What are these? Can we define them? Musicians, and drummers especially, can all too easily become fixated on only one area of improvement – often technique. This can lead us away from the core values which define us as musicians and not simply technicians. “Technique doesn’t mean s**t if you can’t lock in a solid backbeat” Steve Gadd. What abilities should a good musician have? Technique, ears/listening skills, reading abilities, composition and arrangement skills, experience, feel, empathy….? How do we decide what to play? Prior, or in the moment: Composition is important in both of these. Composition doesn’t have to be prior to the event: even within free improvisation, players often refer to ‘instant composition’, where real time performance can be developed with composition in mind. Are you an Improviser or Planner? ‘Simple is best’? Sometimes complicated is best! [Examples.] …but have a planned approach (remember: the plan can be to play ‘in the moment’, as in instant composition or jamming. With any approach, try to include ideas only which make improvements – anything else does what? ‘Playing for the song’: should mean just that! A good musician who elects to play a highly sophisticated part does so because they believe this approach works. Keep in mind that using simpler ideas should also mean better quality in their execution. Quality: simplicity – vs – complexity; find a musical balance for yourself. ‘How we did it: A case study of the micro label; the self release/self everything world of Misterlee. 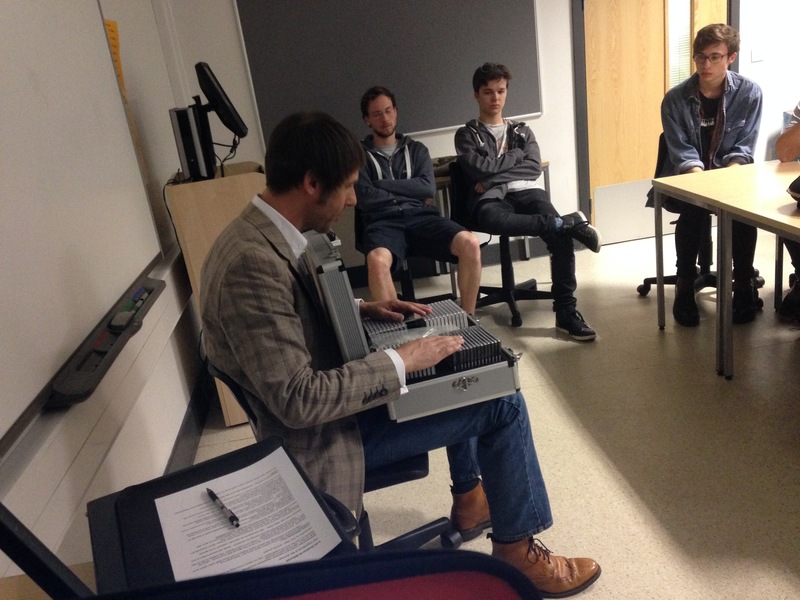 An introduction to the case, as embodied by the customised camera case we used to sell CD’s from at gigs. My first 2 albums: CHISELGIBBON and Night Of The Killer Longface. If you have to do a physical release, go for short runs and minimal content to start; let your writing and recording skills develop. BEST SONG/BEST PIC/BEST VID only: think of videos and music which you have watched and listened to over and over. Single/EP/Album? Video/Audio? Use the format which fits what material and recordings you have to work with and not the other way round! Audio record and/or video your live shows, radio sessions, rehearsals – any odd stuff – real fans love that kind of documentary, so make it available to them. You could even release the best of it. Hiring PR – don’t do it unless absolutely necessary; hiring anything for that matter – don’t do it! Read ‘The Manual’ by Bill Drummond – especially the bit about using the phone at every opportunity. Part of the fun is having only a shoestring budget – it can make you more inventive, unique and it’s another way of expressing your creativity. The industry is full of big label funding, or kids with trust funds spending wads of cash buying their way in. Make your benchmark gaining notoriety by reputation. National Press stat: a major music press editor once told me they typically receive upwards of 400 submissions for an absolute maximum of 40 review spaces – every month. As you develop your strategies, be careful to not let these adversely prejudice your writing and creative direction: improvement via constructive criticism is good, but be mindful of not simply changing the way you do things to appease those around you. In closing, remember how quickly people forget: if you are trying to build a buzz around what you are doing, sustaining this is the tricky part, so a ‘drip-drip’ approach can help pace this. Also, know when it’s finished: a particular writing or band project doesn’t have to be for life – it might only be part of your own personal journey, so be brave if it feels like time to move on. This can often be a great opportunity to reappraise your work and reach your potential. 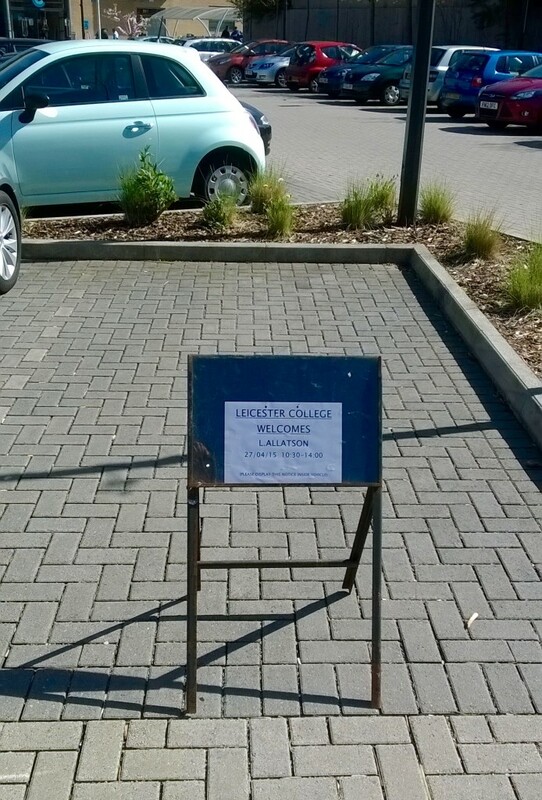 When you have allocated parking, you know you have arrived – literally! Lee Allatson offers a wide range of workshops, lectures and masterclasses for musicians of all levels of ability and experience. 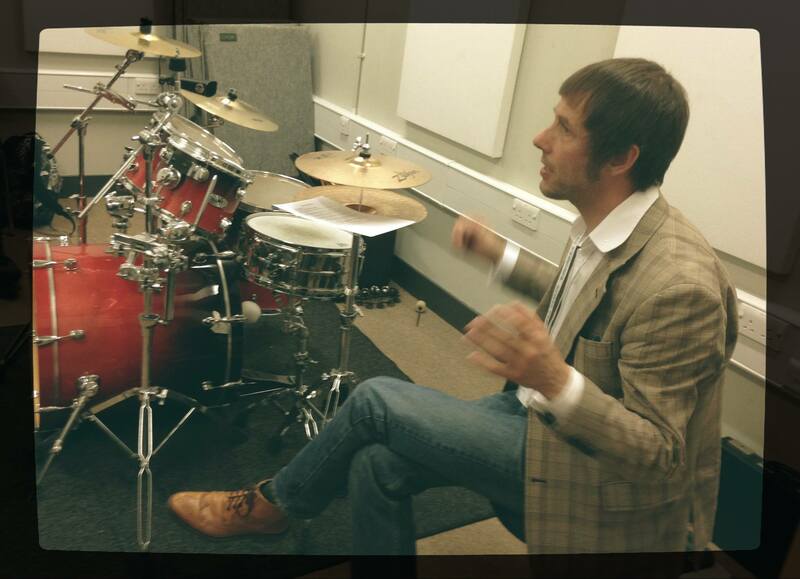 This entry was posted in Advice, In the community, Masterclass, News, Uncategorized, Workshop and tagged Drum lessons Leicester, Drum teacher, Drum tuition, Dye House Drum Works, Lee Allatson, Masterclass, Workshop by Lee. Bookmark the permalink.